Looking inside my handbag. Just a fun little post. My post this week is a graphic I made... to help explain the internet. 4. 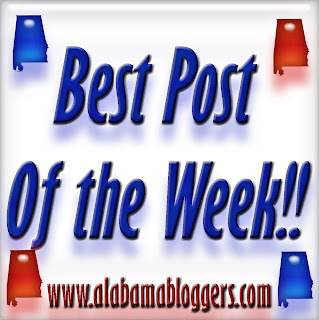 Birmingham Blogging Academy - What they said about me in Atlanta recently. 5. Project Bulk: Marking a milestone in working with photos from Days 1, 50, 100, 150 and 200. 6. Y'all Connect - What is up with the new American Eagle skinny jeans campaign?